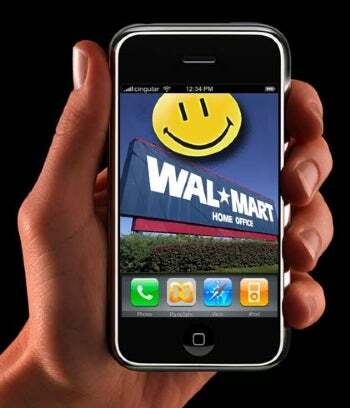 Walmart's 16GB iPhone 3GS Deal: Buy or Wait? A new iPhone is probably right around the corner, but Walmart is sweetening the deal on its existing stock with a 16 GB iPhone 3GS for $97. That's $102 cheaper than the same model from the Apple Store and roughly the same price as the generation-old 8 GB iPhone 3G. Of course, both stores require you to sign a two-year service agreement with AT&T to get the subsidized price. Do you need video chat? The next iPhone is likely to have a front-facing camera, whose most obvious application is video conferencing. If you don't really chat by video on your computer now, you probably won't miss the feature. The iPhone 4G may also be able to take self-portraits, and there could even be apps or games that use face tracking, but that's just a guess. Do you have a huge music or video library? Once you've loaded an iPhone with media, 16 GB can feel a little cramped. There's no price drop on the 32 GB iPhone 3GS, so if you need more space, it's best to wait for Apple to announce its next generation of phones. Have you ditched your digicam? Would you like to? The iPhone 4G's rear-facing camera will probably pack more megapixels, but the most important addition is flash. That'll come in handy for people who'd rather leave their digital cameras at home for uneventful nights out, but still want to capture the unexpected. If you don't dare go anywhere without a compact digicam, the upgraded iPhone camera's no biggie. Gizmodo wasn't able to determine the resolution in the iPhone prototype purchased by the blog, but an earlier rumor suggested a 960-by-640 resolution display -- twice the pixel count of the iPhone 3GS. There's nothing wrong with the iPhone 3GS display, it'll just be inferior to whatever comes next. Do you have another $100 (or more) to burn? In addition to the features we already know about, the iPhone 4G will probably have general improvements to performance and battery, and maybe some other surprises. You're buying a luxury item either way, so it may be worth the extra splurge to buy the best and avoid kicking yourself for two years. Besides, the real sticker-shock comes not from the phone itself, but from wireless providers' mandatory $30 per month data charges.